ROCKTOBERFEST, GALWAY’S new ‘indoor music festival’ will see Monroe’s Live play host to 22 up-and-coming Irish bands, across a wide range of genres, starting today and running throughout the weekend. Galway electro-rock trio EDFT and Derry alternative rockers The Wood Burning Savages play this evening at 8pm. EDFT - Éimhín and Fiachra Cradock and Dave Donoghue - play a rhythm driven music, which incorporates experimental, funk, and Latin rap, as well as the influence of Rage Against The Machine, Faithless, and Calvin Harris. Check out their debut EP, Grow. The Wood Burning Savages have been praised by ‘2-4-6-8 Motorway’ songwriter and BBC Radio 6 DJ Tom Robinson, who said: “Just had my head blown off by the awesome Wood Burning Savages. Recordings to date don’t even begin to convey their live fire power.” Dave Fanning also gave this “great new band” his seal of approval. Their sound combines sixties fuzz guitar hooks and an explosive rhythm section. 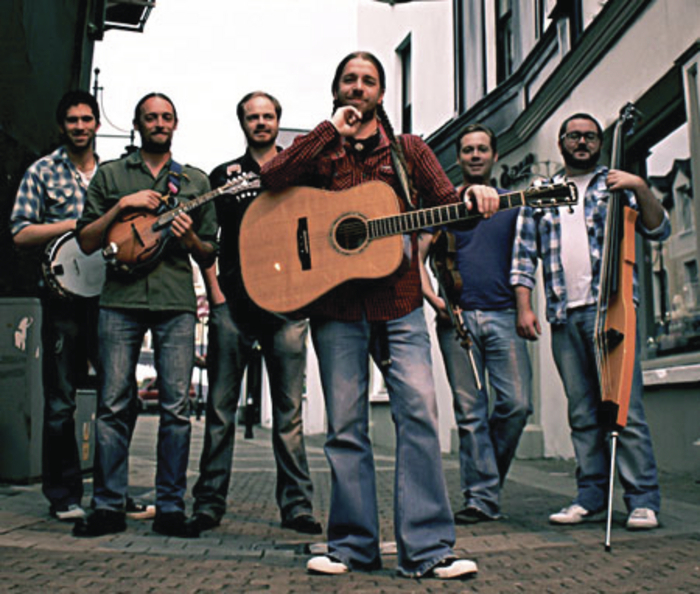 Sligo’s barnstorming bluegrass bandits, Rackhouse Pilfer, will headline ROCKtoberfest’s closing night, this Sunday, at 9.30pm. This year has been a good one for the sextet. In March they released their debut album Love and Havoc, earning plaudits from Hot Press, which said the band have “an authenticity that wouldn’t sound out of place on the stage of the Grand Ole Opry”. The album featured a guest performance from 88-year-old Harold Bradley, who played guitar on hit records by Elvis, Roy Orbison, Johnny Cash, Patsy Cline, and Jerry Lee Lewis. Rackhouse Pilfer were also invited to perform alongside John Carter-Cash, son of Johnny Cash, and Raelyn Nelson, granddaughter of Willie Nelson, in Nashville. Also playing on Sunday are Americana/folk-rock band Stephen Young & The Union, whose new single ‘Duty Free 200’ will be released on Friday October 24. The band released their debut album Wilderness Machine in 2011 and followed this by winning the MRU Award for best Alt-Country act in 2012. They have since played Vantastival and Electric Picnic, and their next album, Eagle Fort Rumble, is due for release soon. Tickets are available on the door, through www.monroes.ie, or 091 - 583397.